In recent days, tensions between Russia and Georgia have escalated enormously – a fact largely ignored by the British Left. Most of us would be hard-pressed to remember the most basic details about this tiny independent republic now under possible threat of Russian aggression. Trotsykyists in particular used to know a great deal about Georgia in part because probably the best known book justifying that invasion was written by Trotsky himself. Translated into English as Between Red and White, Trotsky’s book was a rebuttal to Karl Kautsky’s work which declared Georgia to be a democratic socialist workers and peasants republic. 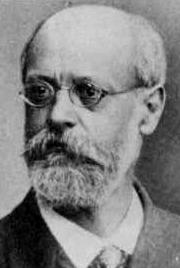 Kautsky’s book reflected the widespread view in Social Democratic parties that the Soviet regime had crossed a red line in crushing the Georgian Menshevik experiment. Georgia and Russia have had a long and unpleasant history together, and by the late 19th century, a strong nationalist movement had emerged in Georgia seeking independence from the tsarist empire. But an even stronger working class movement emerged which had little interest in separatism. That movement’s main political force was the Social Democratic Party which not only dominated Georgian politics, but whose leaders also played a key role in Russian politics as well. A not insignificant number of those “Russian” leaders of the 1917 revolution which overthrew tsarist rule were in fact Georgians, who went on to play leading roles both in the provisional government and in the soviets. Following the Bolshevik seizure of power, the Georgian Social Democrats (together with their nationalist allies in Armenia and Azerbaijan) broke the entire trans-Caucasian region off from Russia, bringing it under the protection of first the Germans and later the British. The Mensheviks quickly established what they saw as a democratic socialist alternative to the Bolshevik model. They carried out land reform, nationalized key industries, reinvigorated education and culture, and did it all within a democratic framework, a multi-party system. Even the Bolsheviks were allowed to compete in elections – and this in spite of their occasional forays into putschism. The Mensheviks in Georgia had no Cheka and no Gulag – two institutions set up by the Bolsheviks in the revolution’s earliest days. But all was not peaceful in the Menshevik republic, as Trotsky points out in his book, with one of the perennial problems being secessionist movements by national minorities within Georgia. While Lenin and Trotsky were not particularly happy to have a Menshevik-controlled Georgia, occupied by foreign troops, on Russia’s southern border, they eventually accepted the reality of Georgian independence. A peace treaty was signed between the Russian Soviet and Georgian republics. But Stalin, himself a Georgian, found the situation intolerable. In Georgia itself, Stalin had often found himself as the only Bolshevik in the village. While this made his work in the country largely ineffective (he was repeatedly driven out of the party, partly due to allegations of his links to the Okhrana), it made him much more valuable to Lenin. He became Lenin’s “expert” on national minorities, and was given this portfolio in the council of people’s commissars. The details of how the decision was taken in early 1921 to invade Georgia remain murky. The Soviet government and the Georgian Mensheviks had signed a peace treaty, ending years of turmoil. The Georgian Bolsheviks were operating legally again, their coup attempts forgiven. But following the withdrawal of British forces from Georgia and the fall of the other trans-Caucasian republics to Soviet rule in 1920, the Georgian republic grew increasingly vulnerable to an attack. It is clear that Trotsky, then commanding the Red Army, did not order the attack. All indications point to a manipulative Stalin taking advantage of the situation, looking forward to entering his native land at the head of a conquering, albeit foreign, army. Georgian resistance to the Red Army invasion was fierce, and continued long after Soviet rule was proclaimed in 1921. In 1924, for example, a bloody uprising organized by the underground Social Democrats nearly toppled Soviet rule in the country. Other bloodshed followed, and even as late as the 1970s and 1980s, Georgia remained one of the most volatile parts of the Soviet Union, with repeated episodes of terrorism and occasional mass protest. With the collapse of the USSR in 1991, Georgia was among the first to declare independence. But the last fifteen years have been stormy ones, with a series of inadequate leaders coping poorly with a series of crises. Meanwhile, the Russians have continued to support secessionist movements along the country’s northern border in a bid to destabilize Georgia and the region. The news coming out of Georgia today cannot help but remind us of the long and bloody history of Russian-Georgian relations and especially of the invasion of 1921. Back in the 1920s, condemnation of the Russian aggression against Georgia was widespread. The only defenders of that invasion were Communists, who followed the Soviet line that what had actually taken place in Georgia was a workers’ revolution which had put out a call for help. Communists took the view then that whatever the Soviets did had to be right, no matter how it looked. Looking back, one could argue that Trotsky’s Between Red and White was not his finest work. But today, with a reactionary, anti-democratic government in power in Moscow, certainly no one on the Left can feel any sympathy for a Russian move against Georgia. The parallels between then and now, between 1921 and 2006, are everywhere. Putin is convinced that Georgia is being turned into a US military ally, a member of Nato, a potential staging area for attacks against Russia. Some of the Bolshevik leaders saw Menshevik Georgia in the same way, a base camp for Western imperialism. Today, however, there is one critical difference: the democratic Left should have no excuse now for backing the Russians in their centuries-old drive to expand the empire. Our position today should be as it was for most socialists in 1921 – the Communists being the exception: support for an independent, democratic Georgia, and opposition to Russian aggression.